What do you do when you want to find more hiking options than those covered by the guidebook? 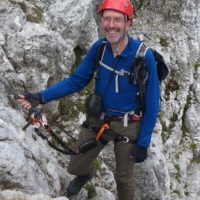 Mick Borroff explores route planning using GPS tracks and satellite imaging. Walking guidebooks for an area are great to have in the hand and in the rucksack. They offer you much more information than just the routes themselves and are thus invaluable planning tools for a trip. But however good a guidebook may be it can never be truly comprehensive. Practical realities such as the book size and the author’s time mean that it can only cover a selection of the possibilities available. By definition, these must be drawn from routes that the writer has already walked. 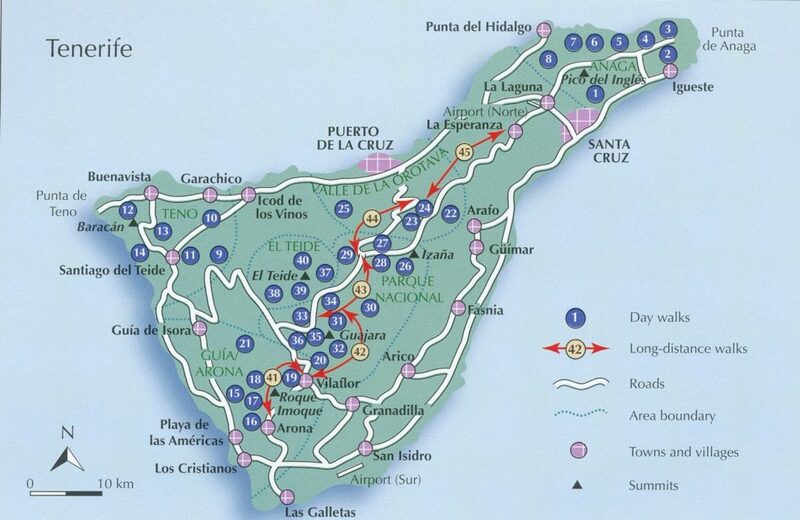 Just to give a simple example, Paddy Dillon’s excellent Cicerone guide Walking on Tenerife covers 45 walks but the site GPS wanderlen in Tenerife, set up by two Dutch walkers who have visited the island every year since 2007, features an astonishing 406 walks. Including all these in a guidebook would not be a realistic proposition for any author or publisher and you probably wouldn’t want to carry it either! So, what do you do when you want to find more hiking options than those covered by the guidebook you already have? Perhaps you have done all the walks close to where you are staying? Maybe you want to find out where the locals go? Maybe you want to walk in an area or reach a summit where there is no guidebook coverage and the available maps have little or no detail about the actual footpaths on the ground? Apart from the obvious consultation with the locals i.e. tourist offices, walking groups, guides, outdoor gear shops and accommodation owners etc., the other obvious resource is to use the internet. Whilst there are sometimes good route descriptions in English on the net, as often they are in the local language which you may not speak too well. Using Google Translate will give you a flavour of the route but parts of the translation are often ambiguous and the narrative cannot be used as a completely reliable description up to a guidebook standard. A simple example is a Google translation from French that says “Leave the path on the right and then the left …” when the text actually meant “Ignore paths on the right and then the left …” and so you really do need a map annotated with the proposed route to navigate. With the advent of GPS receivers built into mobile phones and many walkers taking dedicated outdoor GPS devices with them, there are now huge numbers of GPS users. Many hikers are now recording their walks and uploading their tracks to route sharing sites. Google can be used to search for these websites to identify GPS routes and tracks to download in your area of interest. Typing in the place-name and GPX should get you plenty of hits! Walkhighlands is an amazing resource for exploring Scotland. The 2061 walks include a complete inventory of Munros and Corbetts, together with hundreds of easier lower level and coastal walks in every part of the country. If you walk north of the border, you are missing out if you have not explored this site! 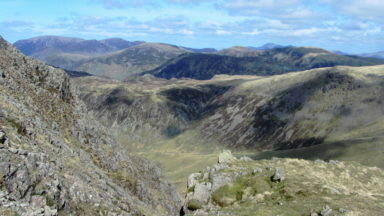 Good walk descriptions, OS mapping to 1-25k, photos, route downloads and a lively forum makes planning new hikes a treat. MountainViews is an equally good site covering Ireland. 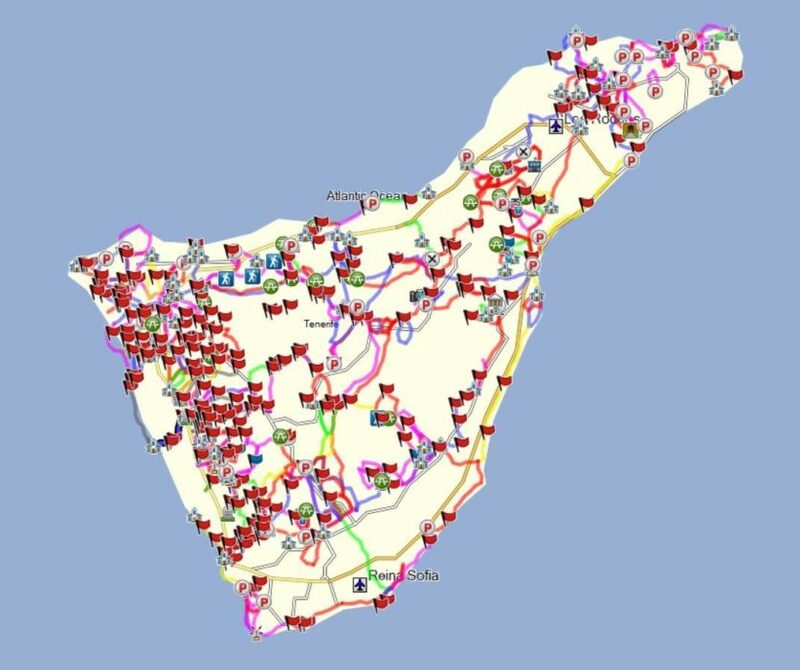 There are plenty of overseas sites, such as the French site Randogps which currently has over 5700 tracks to download indexed by region and department, IGN mapping to 1:25k, Google Earth imaging and downloadable routes. The French Visorando site is another excellent example with Belgian and Spanish IGN mapping available too. Wikiloc is the granddaddy of these sites with over a whopping 7.5 million tracks globally! 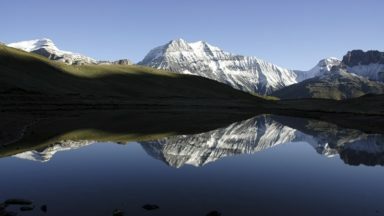 These routes are from a mix of activities: hiking, mountain biking, cycling, snowshoeing, ski touring etc. Perhaps you fancy hiking in South Korea but find that Paddy Dillon has not yet written a guidebook for Cicerone? 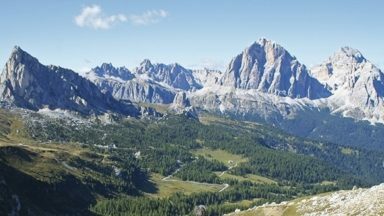 Look in Wikiloc: over 2,500 walking, hiking and mountaineering routes to choose from, searchable by type (loop or linear), length and difficulty. A variety of mapping options lets you further research your route selection. Just to clarify some terminology, GPS routes are about where you are planning to go; GPS tracks are about where you (or others) have been. Routes are pre-defined paths generally created from a group of location points in the sequence you plan to navigate them. These are usually created on a computer but can be entered on a GPS device. Tracks are made up of data gathered automatically from your movement while the GPS device is turned on whilst following a route. They are like breadcrumb trails, allowing you to see where you or someone else travelled in the past. Usually you will be using someone else’s downloaded GPS track as your route. 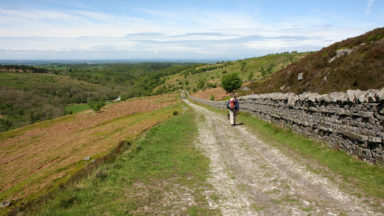 Look at these two paths for a well-known walk from Malham to Malham Tarn via Gordale Scar. 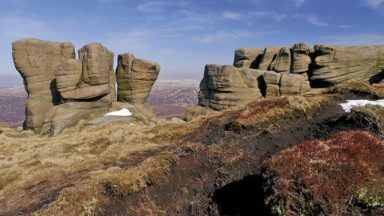 A Route: there is just sufficient detail in this route file to identify and follow the paths on the OS map. A Track: this track file is much more detailed with many more track points showing the GPS record of the author’s route. The satellite image shows a close fit of the track on many of the visible paths but has some GPS artefacts in the vicinity of the steep cliffs at both the foot of Malham Cove and the entrance to Gordale Scar, due to differentially reflected satellite signals (called multipath errors) which we will talk about later. The data for both GPS routes and tracks are usually held in the generic GPX file format (but there are others). 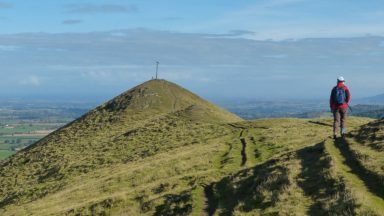 Routes usually have relatively small numbers of waypoints, whereas tracks may have a couple of thousands of track points recorded by the GPS device. Routes can be easily followed if the available mapping shows the paths taken by the route (often the case in the UK or France or Switzerland for example), but if the mapping shows only tracks but not footpaths (e.g. often in the case in Spain, Portugal or Ireland) in your area of interest, you will need to use someone else’s GPS track as your route to give you the more detailed information required. Once you have found a website with a walk of interest and located the download page, what next? 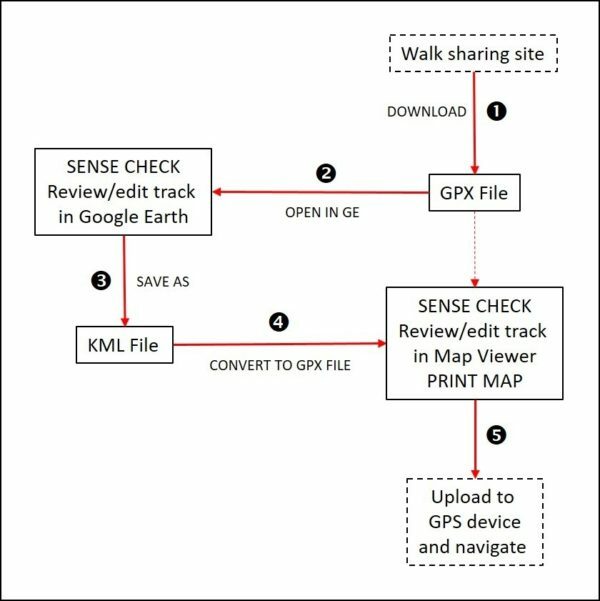 You should start by downloading the GPS track file, usually in the universal GPX file format to your computer. Sometimes (e.g. in Wikiloc) you will be given the option to download the author’s full track or a compressed version limited to 500 waypoints. Always choose the full version, since the compression may lead to some confusion when such an abbreviated route is used to navigate on the ground, especially for long or complex routes. Next you should run Google Earth and open the downloaded GPX file as an overlay to see the route displayed on top of the satellite image. (Note that Google Earth calls tracks ‘paths’ and exports them as .KML files). You may also be able to download a .KML or .KMZ file of the same track from the walk sharing site which can be opened directly in Google Earth. This might save you a little time, but the track might be limited to 500 waypoints, missing some detail. I recommend opening the full GPX track in Google Earth. 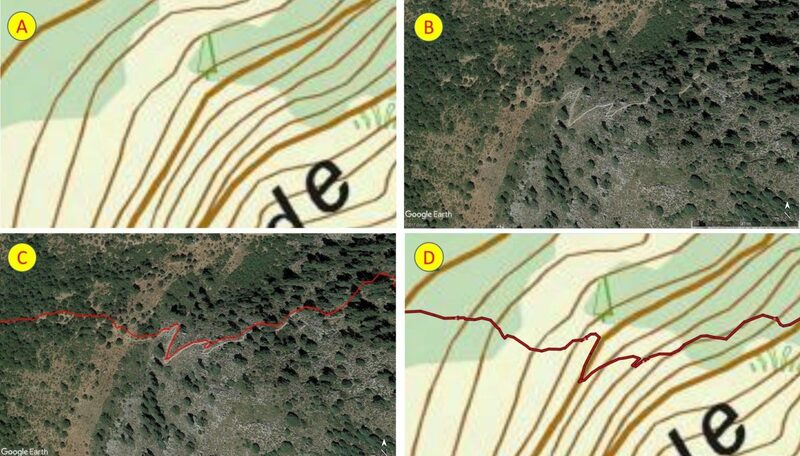 The GPX track file may contain movement data: speeds much greater than usual walking rates indicate that the route is probably a mountain biking or cross-country ski route. You can almost certainly walk the former but maybe not the latter. What was the moving average speed compared to the overall average? Does this match your usual pace? Viewing a GPX track over satellite imaging is extremely useful. 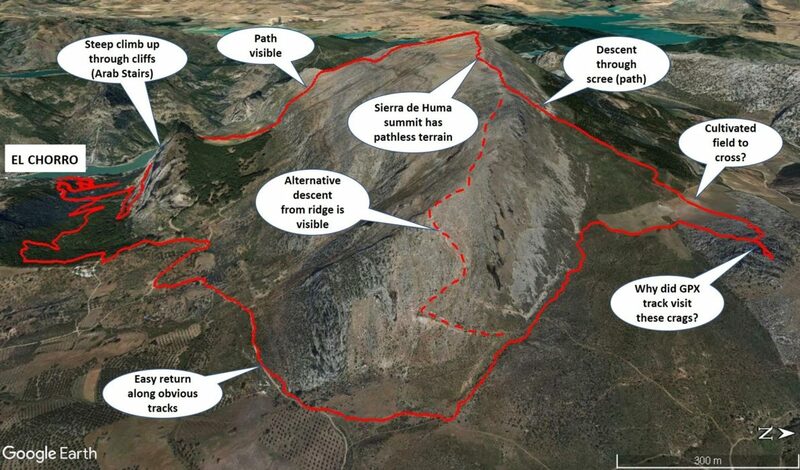 It allows you to view the terrain crossed by your proposed walk and get a sense of the landscape. Ask yourself lots of questions! What is the terrain like? Does the route look plausible – where might your concerns be? Does it follow a clearly visible path or track or road that you can see on the satellite image? Does the path go where you would expect it to if you were on the ground? Are there pathless sections? What is the trail mix – e.g. you might not want to do a walk with a very long busy road section. If it crosses a river, but doesn’t use an obvious bridge that you can see on Google Earth, is it due to the bridge having been swept away or the author’s use of a convenient boulder-hopping crossing as a shortcut or a wade? Or is it due to compression of the track, which actually does use the nearby bridge? 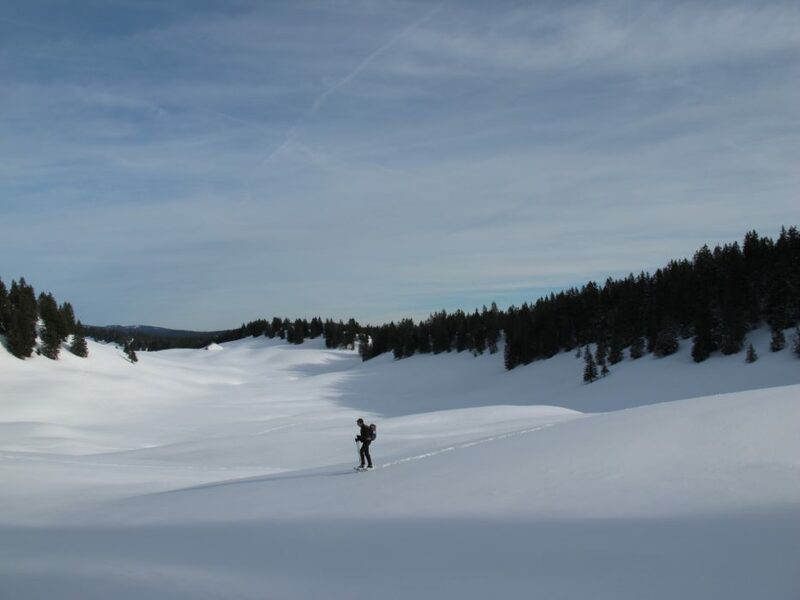 If a route crosses large boulder fields when there are clear path options visible on the satellite image which skirt them, is it because you are viewing a winter ski-touring or a snowshoeing route? If it crosses a lake, was it done in winter when it was frozen over? Or is this likely to be an artefact because the GPS receiver lost clear satellite reception (multipath errors) as the lakeside path was at the foot of high cliffs in a canyon (as happened to my GPS track below on a route in the Verdon Gorge in France – my track is shown twice crossing the water in the lower Verdon Gorge and going in a circle midstream despite me remaining on the south bank path at all times!). Some of these questions may be possible to answer by finding another GPS file for the same route from a second website and comparing it. Also, if the walk crosses roads, you may be able to use Google Earth Street View to look where it leaves/joins the tarmac to see if the route is signposted or waymarked or to look for suitable parking at the start/finish or a convenient pub or bar mid-route etc. Spurs on the GPX track may be a brief excursion along the wrong path and a return, or could visit a feature not marked on the map or just be to take a comfort break. A Gordian “knot” is often seen at the start of a walk when the GPS is fired up and then there is a delay while everyone gets ready and sets off. It is also seen when the party is stopped for any length of time e.g. for lunch or to take in the view at a summit - the static GPS device simply records its random circle of uncertainty for half an hour or so – hence the ‘knot’. This is a regular feature of many GPX tracks but may be edited out before the file is shared. 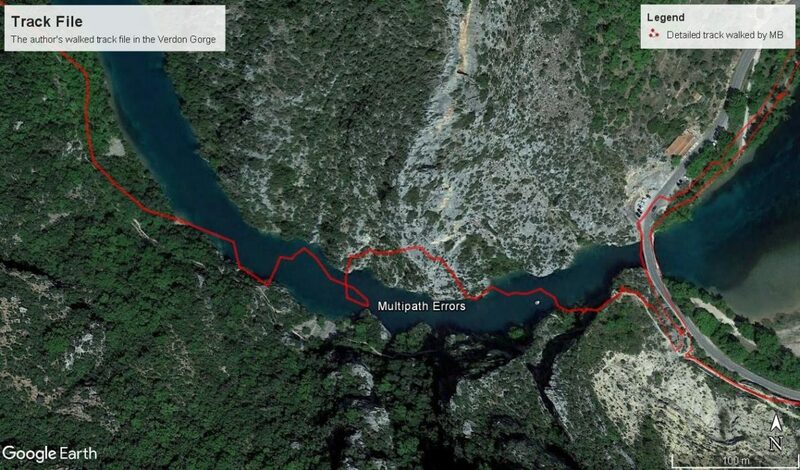 Implausible sections of tracks like the Verdon Gorge and Malham walk examples mentioned above are GPS artefacts called multipath errors caused by the signal from some of the GPS satellites being received directly and others getting reflected off cliffs before getting to the GPS device. See: http://www.trimble.com/gps_tutorial/howgps-error2.aspx. Hopefully if you downloaded either of the above tracks you would question their credibility and not attempt to follow the position spikes in these areas! A further check should be undertaken establish the correct line of the path to take. You may well find that the actual path is clearly visible on the satellite image and the track can simply be edited to match it. It is worth noting here that the GPX track and the linear feature such as a path, track or road may not be perfectly aligned in Google Earth. The precision of the GPX signal has improved and is probably more accurate now than the georeferencing (calibration) of the Google Earth imaging. Indeed, if you look at your route over historical imaging, the image will probably ‘jump’ between years as the georeferencing is not identical. The actual accuracy of Google Earth is a much-discussed point in the research literature, but it is certainly good enough for us to use for navigation and route plotting, as shown in the following example. In situations where you think the line of the walk could be improved, it is relatively easy to edit and adjust the planned route by adding or removing new points to the path or moving existing ones. This can easily be done in Google Earth by editing the properties of the .KML path and saving the updated .KML file. This updated file can be imported into your GPS viewer and then loaded onto your GPS receiver for use on the ground (conversion back to a GPX file using GPS Visualizer may sometimes be needed). It is also worth turning on the ‘Photos’ layer in Google Earth to look at people’s images of the area. You now need to employ your conventional map reading skills to see what the map can add to your understanding of the proposed route from the mapped topography, just as you would when using a paper map to plan a walk. Maps give you a lot more information which complements the satellite image, so you do need to examine both. For example, a map will show tracks and paths inside a wooded area which may well be hidden under the tree canopy on a satellite image, maps also show rights of way. When using maps from overseas, don’t forget to look at the map legend as the symbols and contour intervals used may be different to those you are used to. Editing of the track can also be carried out using the map in your GPS mapping software e.g. Garmin Basecamp, Memory-Map, etc. and using some national map viewers. For example, you may want to move a section of your route to one where right of way is shown on the map or to visit somewhere to get refreshments. All you need now is a paper map with the route to take out on the hill with compass and your GPS device in case you run out of battery power, lose or break it etc. As a bare minimum you will be able to print an Open Topo Map overlaid with your GPX route using GPS Visualizer and a Google Earth image to use. You may be able to print more detailed national topographic maps from your map viewer or mapping software, but if not, you can at least print out a screen shot of the map and route. If you have a mapping GPS, you can put the appropriate digital map onto it along with the GPX route. search walk sharing sites to try and find one of the same route to download, as detailed above. This is usually quicker if you can find the walk. In Wikiloc, use the map to initially look at the shape of the candidate route relative to the map in the book - the eye is good at pattern matching - before deciding whether to download it. use the information and the map provided in the guidebook to plot a detailed GPS route yourself, using digital mapping and/or Google Earth (I generally use both, starting with the map, then fine-tuning it in Google Earth). 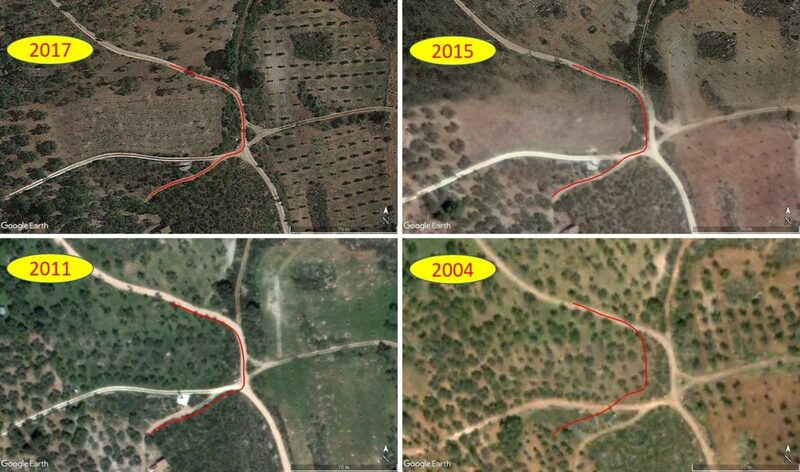 It is sometimes helpful to use the historical imagery provided in Google Earth where the season and lighting may make identification of paths on the ground more visible (but note the accuracy issue mentioned above with the older imaging). There is a learning curve about as steep as the Matterhorn before you can seamlessly move between the steps in this progress, but if you are serious about navigation and want to find more routes to walk, hike, scramble, mountaineer, snowshoe or ski-tour wherever you are going it is worth the ascent!